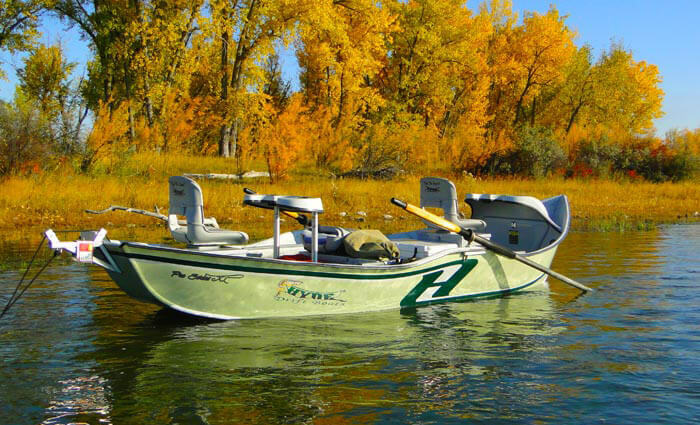 The South Fork… Of the Snake River is one of those great fly fishing rivers in the western U.S. about which you hear very little. 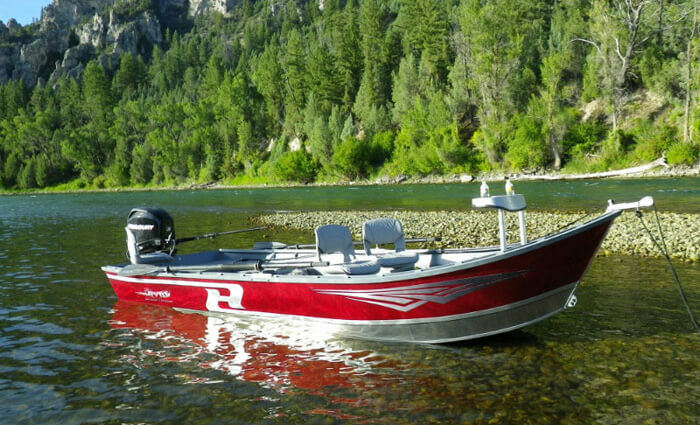 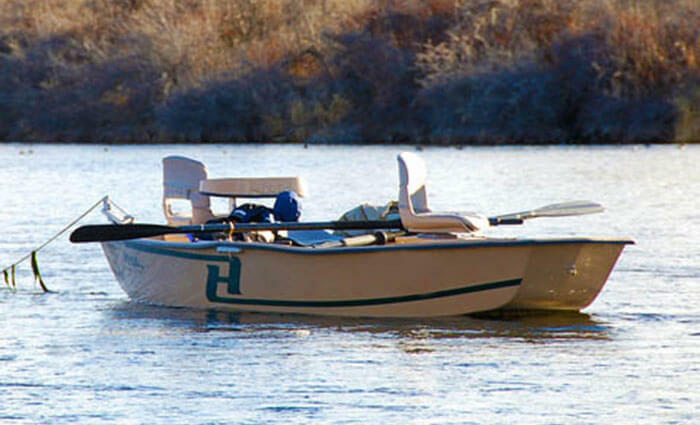 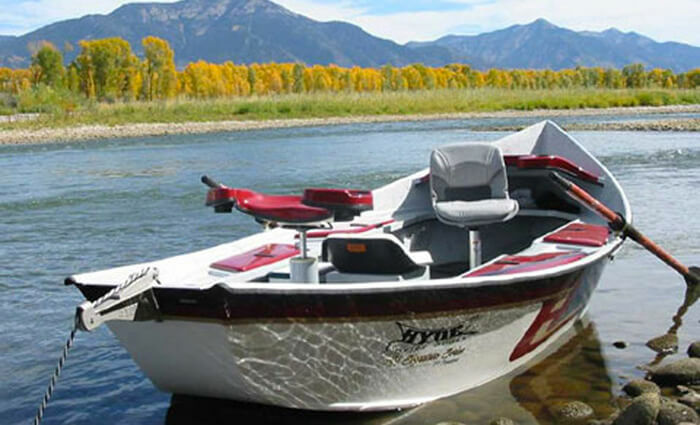 Jim & Kelly team up with Hyde Outfitters of Idaho Falls for exciting float trips… Fishing and camping down the South Fork to get a sample of why this is considered a premier river and a great way to fully appreciate one of nature’s spectacles of beauty. 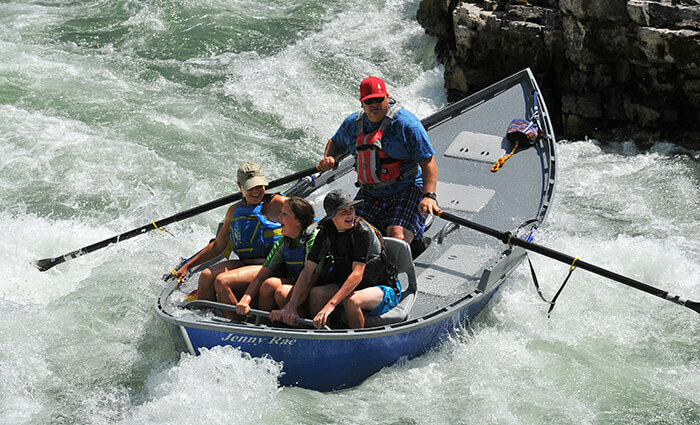 The South Fork is big water, with terrific hopper banks and deep runs punctuated by riffles and side channels. 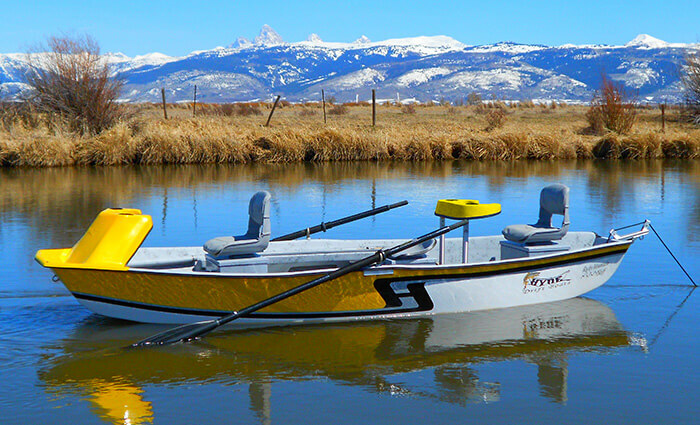 80 miles of floatable river with perfect habitat for an extraordinary population of cutthroat and brown trout. 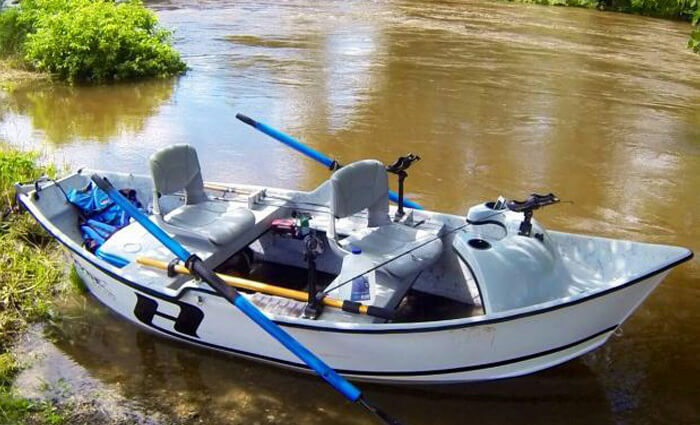 Dry flies and big attractors on top, small nymphs below and banging the banks with streamers. 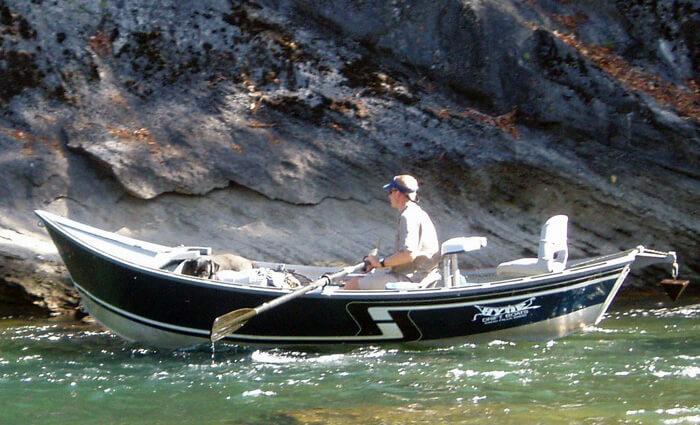 The South Fork of the Snake flows through farmlands and deep high walled canyons creating a wide variety of fly fishing challenges. 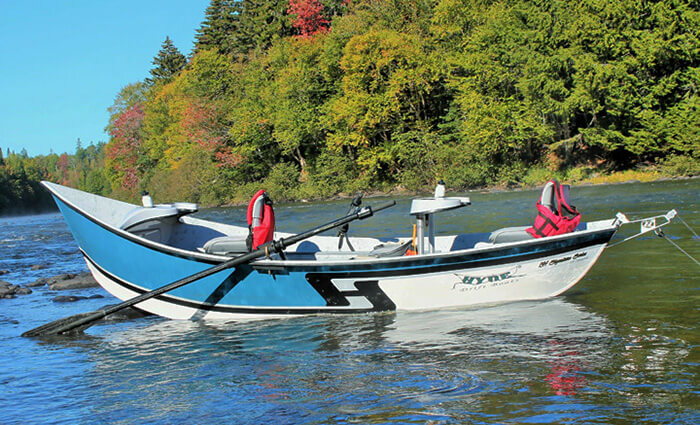 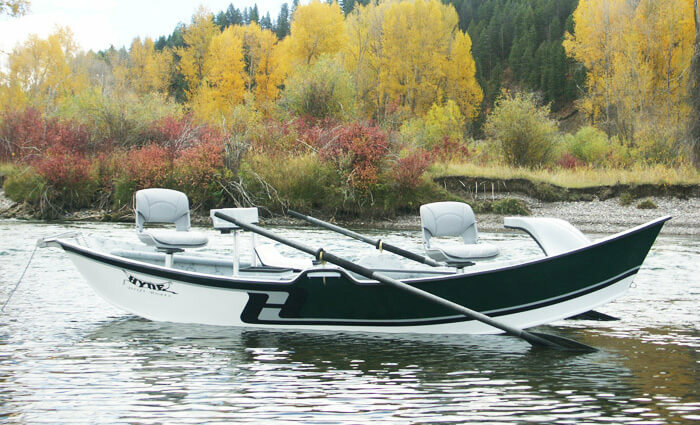 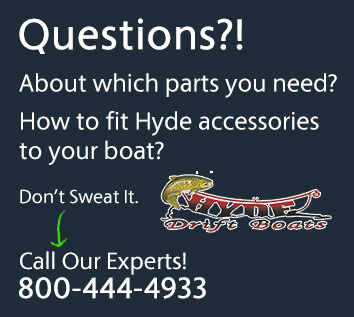 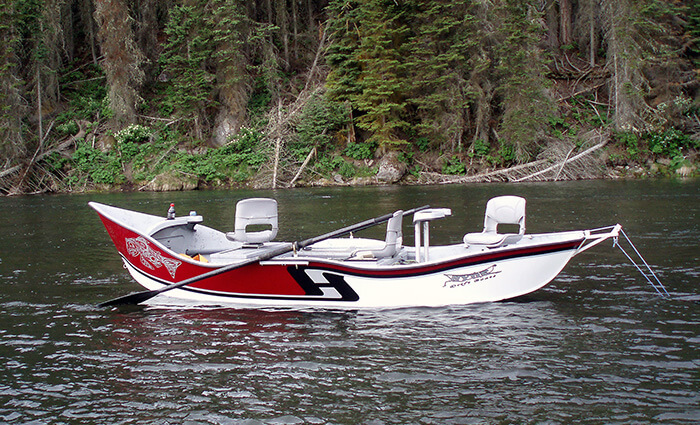 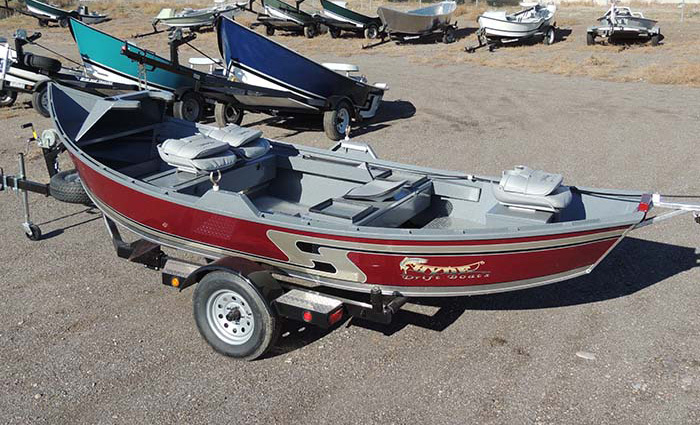 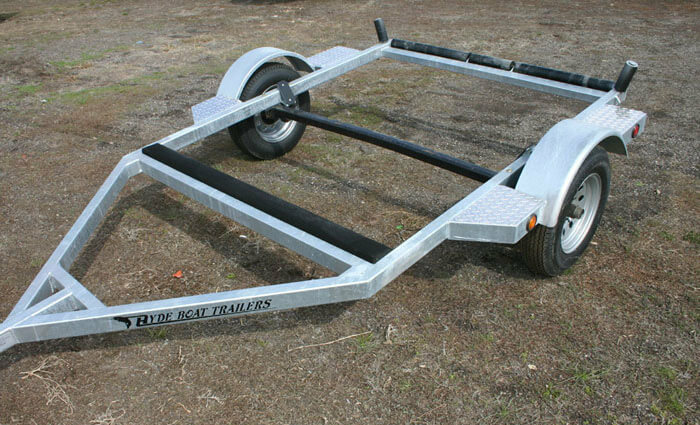 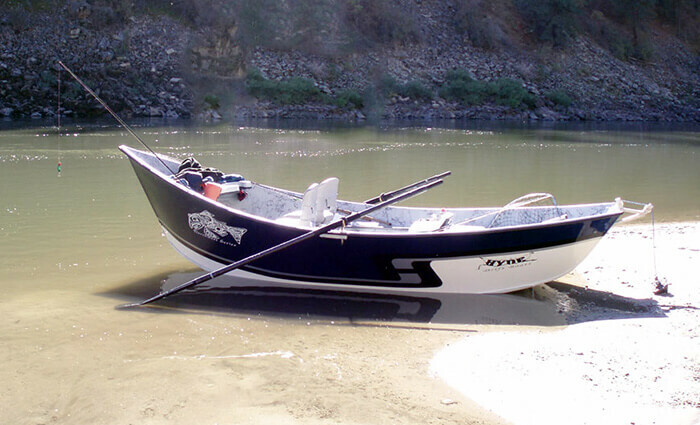 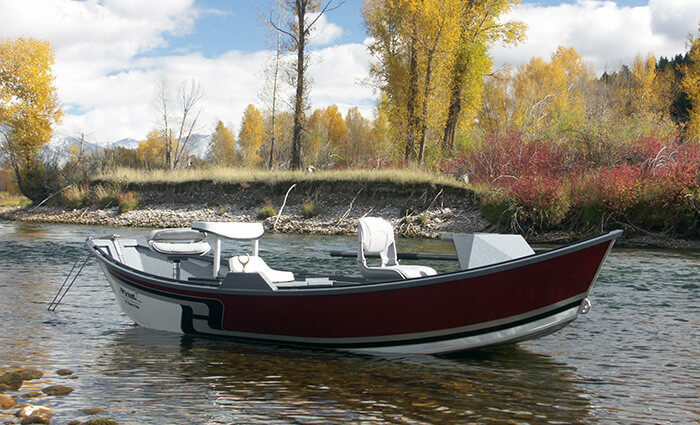 Hyde Driftboats… Experience a personal tour of the Hyde Driftboat manufacturing facility with Steve and LaMoyne Hyde. 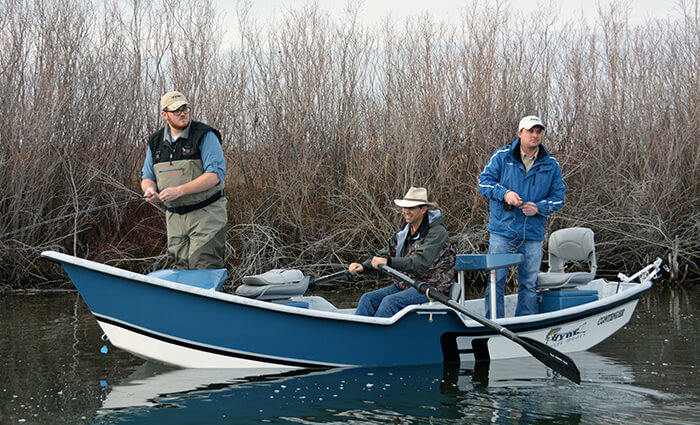 Fly Tying… James Bowen creates great woven body patterns, teaching you the specific techniques for creating remarkably realistic extended body mayflies. 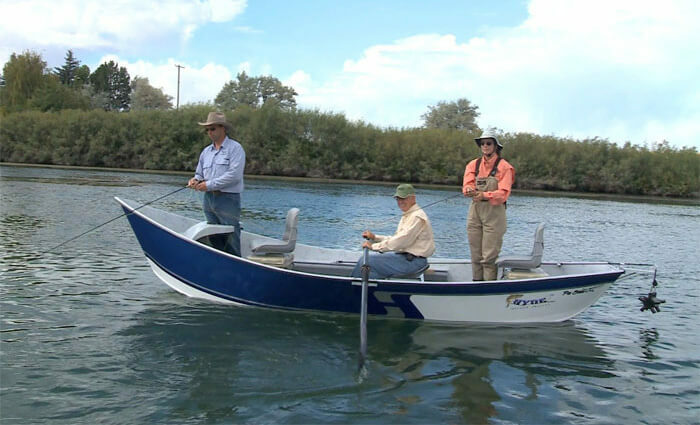 Franz Jansen shows how to tie an effective trout pattern, the “Nirehuao Grasshopper.” From Bennett Watt’s Hooked On Fly Tying series.